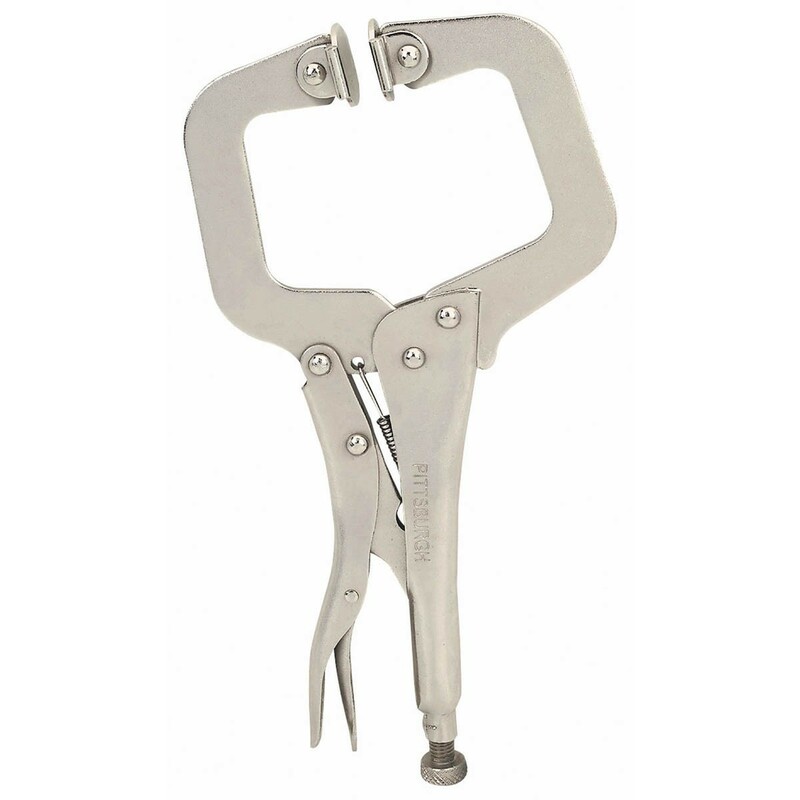 Pliers are chrome-coated steel with a 2-3/4 inch throat depth. Its jaws have swivel-grip pads designed to attain a strong grip on irregular shaped pieces to keep them steady while you work. Easy quick-release make these locking pliers your go-to-tool for all kinds of quick clamping jobs. Shipping size and weight are estimated. If you need the pliers shipped, please contact me for details.